What do you want to achieve? How much are you prepared to put in to achieve your goals? If you want to improve your chances of meeting or exceeding your goals, then planning must be part of your toolkit. Too many organisations don’t plan well, resulting in poor execution, lots of wastage, or worst case, they get into trouble. Any business is constantly having to adjust course due to changes in market conditions, competitors, or demand; in fact a wide range of external and internal factors. If you plan, is once a year enough to navigate challenges and take full advantage of opportunities? When you are driving, you have to keep looking ahead and constantly adjust your speed and direction otherwise you will not be on the road for long. Is running a business any different? So what do we mean by planning? Most SMEs and many larger businesses regard “planning” as creating a financial target – i.e. a budget. Is this planning? When you are driving from London to Manchester, do you just work out how much fuel and therefore cost you might spend? What about the route? The stops on the way. What if the M1 or M6 is closed? Planning should be about the activities and projects that a business will undertake to achieve a target result. There should be a financial consequence of these activities and projects (the budget). Budgeting is a way of planning for and measuring financial success of the plan. Budgeting is not a plan in itself. The more complex the business, the greater the benefit planning will provide. What level of “planning” could or should I be doing? Do you want to plan your activities and projects as a business or just set financial targets against which to measure progress, set bonuses etc? Business Planning is about co-ordinating activities within a business. This co-ordination may be part of the day to day business, to take advantage of an opportunity, or to deal with a crisis. Being co-ordinated will enable you do to do more with less: there is much less wasted effort, money or other resources expended in getting to a given goal. Your team is similar. You have to articulate clearly what you want to achieve (strategy) and also give them guidance of how to achieve it (planning). Better still would be working on both as a team, because then you get everyone’s buy in. If you want great results, then plan with your team. The more moving parts or the greater the complexity, the greater the benefits of planning. Creating a set of financial targets is the most common form of “planning” in most businesses from SMEs to Corporates. Budgeting is often viewed as a tick box exercise that sets a bonus target and then gathers dust, particularly in larger businesses with targets imposed by senior management. The output is a set of financial documents which most people in the business don’t really understand and don’t relate to. Hence budgets are not used in the day to day operations of the business except with reference to how much one can spend. To improve this process, plan the projects & activities and timeframes needed to achieve the financial target. This is Business Planning. It does require more investment across the business – a reason why is it is not as common as it should be. It is a process usually run by the finance team with minimal involvement by the business, freeing up other departments. It involves limited set up time and the management of the process is fairly easy. The assumptions underlying these “plans” are often not shared, discussed or challenged. As a result, those assumptions may not be that robust. Budgeting on its own does not help educate the workforce / business on the link between activity and financial result. Staff members do not relate well to “theoretical” financial numbers. Good Business Planning focuses on the activities and projects first and the financial impact second. This approach creates clear links between activity and financial results. This also forces staff at all levels to talk about the assumptions each is making for each project or activity. With assumptions out in the open, a healthy debate within the business about the assumptions can drive a joined up approach across all levels in operational terms, rather than “theoretical” financial terms. Managers can decide on where to best allocate resources for maximum effect. Business Planning fosters communication and debate across the company, removing the siloed result of just setting financial targets. The visibility and accountability created also allows senior management to hold departments, teams and individuals to account. There is a much better sense of teamwork and direction of travel across the business. More investment of time & people in the detailed planning and the projects & activities of the business into the next 12+ months. The further out, the less detailed the project planning is going to be. Business Planning creates significantly more business benefits that financial budgeting alone. If this is an exercise that happens once a year, the benefits do tail off as market and business conditions change. The plan become less relevant as time moves forward. Adaptive Business Planning rectifies this and takes Business Planning forward a level. Adaptive Business Planning creates a culture and way of operating the business that is forward looking, proactive and drives improved business performance. The functional & divisional managers are involved in the planning along with project owners. The planning happens at project and activity level. Each project has its own set of assumptions, milestones, tasks and budget, as well as a clear owner. Each month, the projects owners and management meet to discuss each of the projects and activities that make up the plan on a tactical level. This provides continuous adjustments to projects and the overall planning process. This approach fosters a forward focused management culture. Opportunities and challenges should be spotted in advance, with time to adjust plans or create new ones. A forward looking approach to running the business, which should spot problems and opportunities with sufficient time to mitigate or take advantage of them respectively. Plans that adapt to what is happening inside and outside the business. This makes those plans significantly more valuable. Reinforces teamworking and problem solving on a business wide scale, creating visibility and accountability. Training the various teams on what and how to approach planning. Setting up the processes and meetings. Done well, these planning meetings become a core part of how the business is run and the monthly business operating cycle. The forecasting process is continuous so the formal budgeting to set targets is relatively quick. Think activities and projects first. The financial impact of those plans second. Then change the activities and projects to change the financial outcome. Planning helps more the business to a forward looking approach, rather than only looking backwards at results. 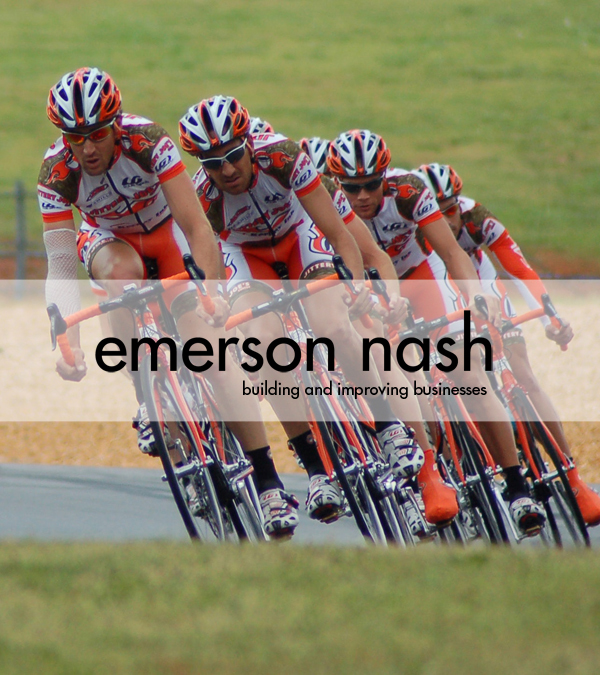 Emerson Nash helps businesses implement ongoing business planning in SMEs to mid-sized businesses. Call us to discuss how implementing a suitable level of planning for your business will improve your business performance.